Beef navels are coated in our New england style red pastrami spice.They are then slowly smoked and sliced. New England style red pastrami and swiss. 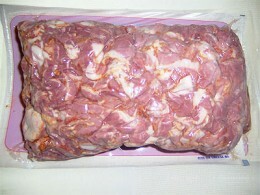 Pearl Meat Red Navel Sliced Pastrami 5lbs.